Topic One: From Agile Projects to Scaling Business Agility: When is it the right tipping point to embrace Distributed Agile? Your adoption of Agile practices and development has matured, and now you are not too sure if this is the right time to focus on the economy of scale and lower your cost of delivery by embracing disciplined agile delivery. One of the primary obstacles in using Agile at scale is to have a team structure that enables effective collaboration among distributed team members and their key stakeholders on a daily basis. Understanding your needs should drive your agile adoption, but too often companies align to a framework from the start and fail to harness the value of agile. In this session, we will review agile adoption drivers, frameworks that can be leveraged to meet those drivers and show how adopting and adapting from different frameworks can meet your needs. - Explore beyond drivers – Agile adoption through people, process, and technology: discover what is already in place to support the transformation and key messages to consider leveraging. Vikas is Accenture Financial Services’ Technology Advisory Lead for Canada with nearly 20 years of experience bringing business-led innovation and emerging technologies to his clients that can be implemented practically and quickly. 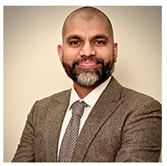 Vikas has co-led engagements with his clients in the areas of Enterprise Agility, the Journey to New IT, Digital Decoupling, Future of Operations and Workforce Transformation. Since 2012, Vikas has been involved in the Toronto region’s local start-up community advising on start-ups, venture capital and policy makers. Vikas has authored two papers: Seizing the Opportunity: Building the Toronto Region into a Global FinTech Leader’ 2017 and 2019. 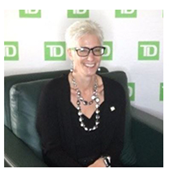 Ilana has been with TD Bank Group for nine years – working in various project delivery methodology/governance roles. Before joining TD, she worked in project delivery (for over 20 years) leading both software and hardware delivery, with most recent work being in the e-commerce software-as-a-service industry. When not a work, Ilana often finds fun ways of living an active lifestyle, some of which include racing in the Canadian Association of Rallysport series (and winning the P1750 class championship in 1999), edge-walking around the CN Tower and racing through obstacles in Tough Mudder competitions.